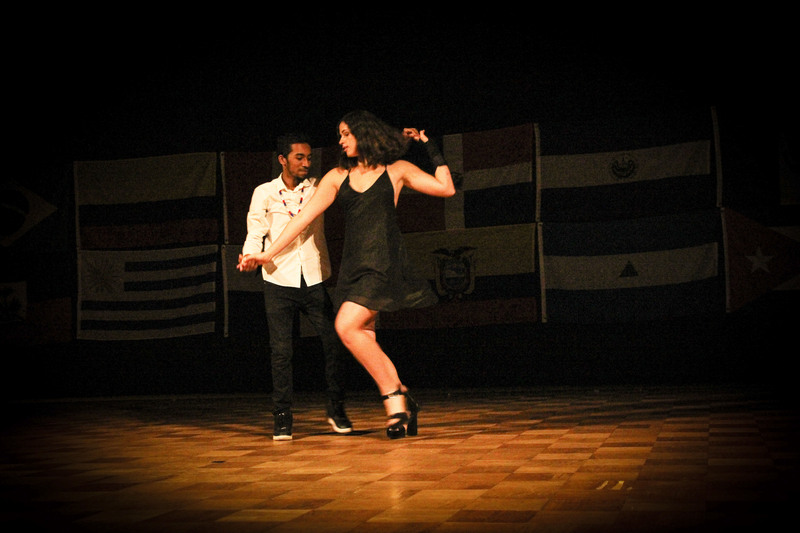 Last Saturday at the World Music Hall, Ajúa Campos presented Expresiones, an annual student arts showcase that the collective creates for Latinx Affirmation Month. 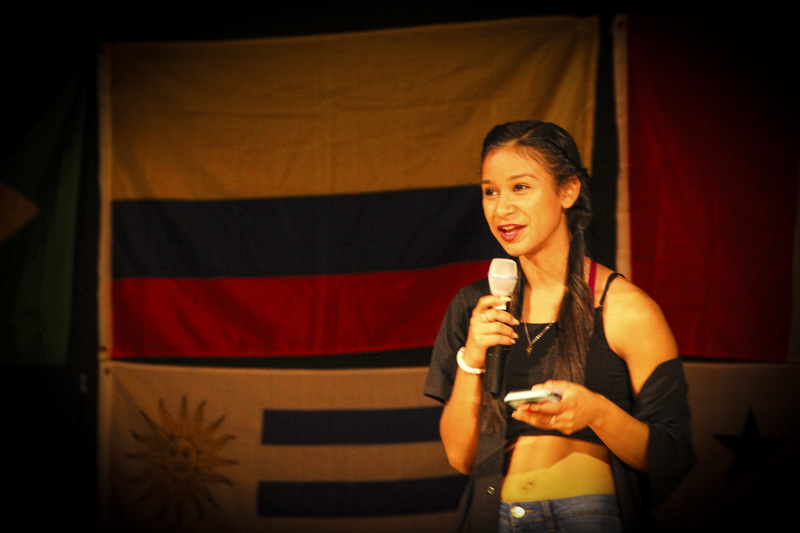 This year’s event featured performances that ranged in genre from a Mexican folk dance number to stand-up comedy. In light of the exclusionary rhetoric aimed toward Latinx individuals in today’s political climate, as well as recent natural disasters like Hurricane Maria that severely impacted Latinx communities, the show served as both a means and product of empowerment, optimism, and hope for the future. 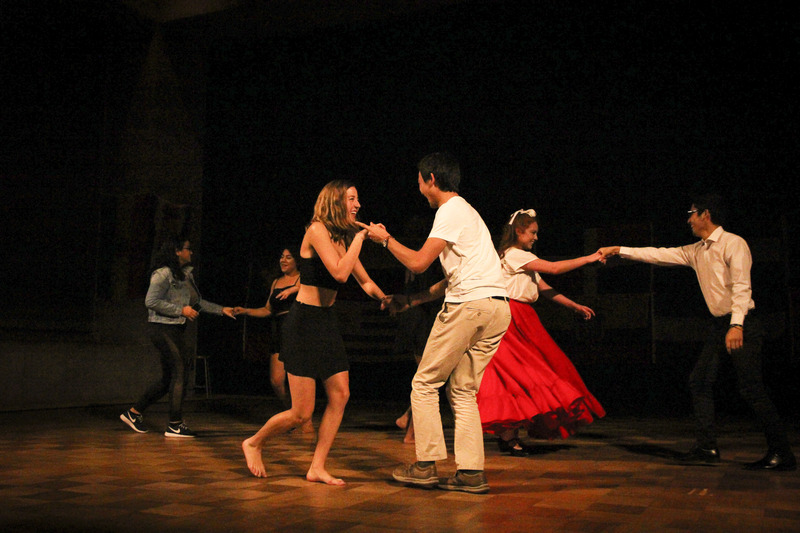 This year’s show was comprised of twelve student acts that explored Latinx identity and culture, either through well-known works of dance and music or through deeply personal experiences that spoke to growing up as a Latinx individual. 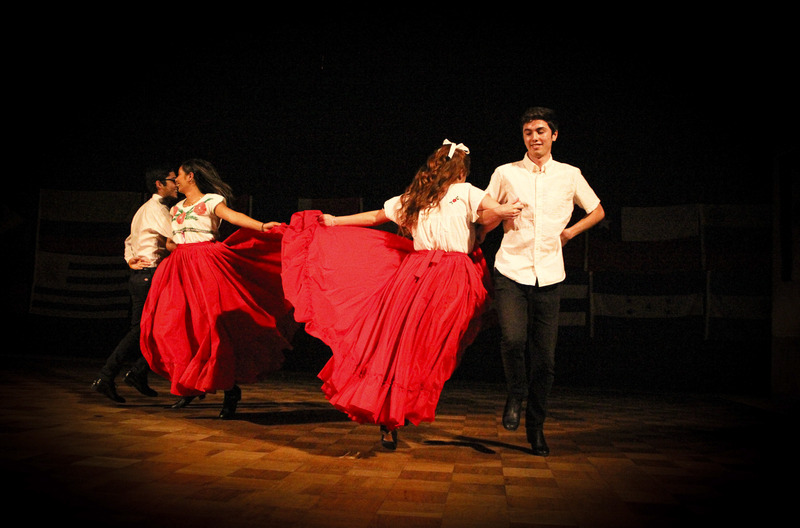 Most of the performances consisted of original works where students alluded to specific moments in their lives that emphasized their heritage. These singular moments were positioned beside notions of what it means to be a Latinx-identifying person in the world, in the United States, and at Wesleyan today. 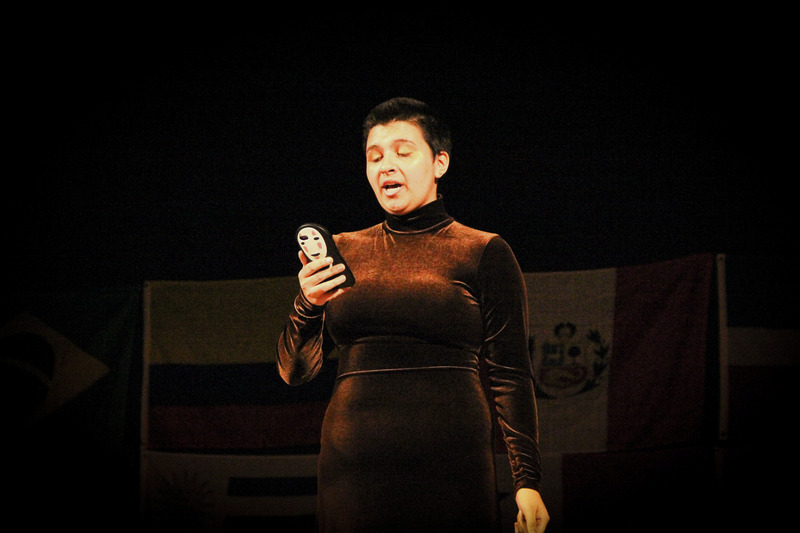 One act that conflated these personal and universal narratives was Leslie Maldonado’s ’19 recitation of her poem, “Not My Daughter.” In this performance, Maldonado recounted an instance when she was grocery shopping with her younger sister, who on numerous accounts has been mistaken for her daughter. Various shoppers cooed at her and the child, commenting that Maldonado was “such a good mother.” In the poem, Maldonado hinted at the judgment she felt, especially given the existing stereotype that women of color—particular Latinx women of color—have too many children at too young an age. This onlooker certainly gave into this generalization and failed to look at Maldonado as a whole person—a college student, a dutiful sister—and instead, just through the narrow lens of established stereotypes. 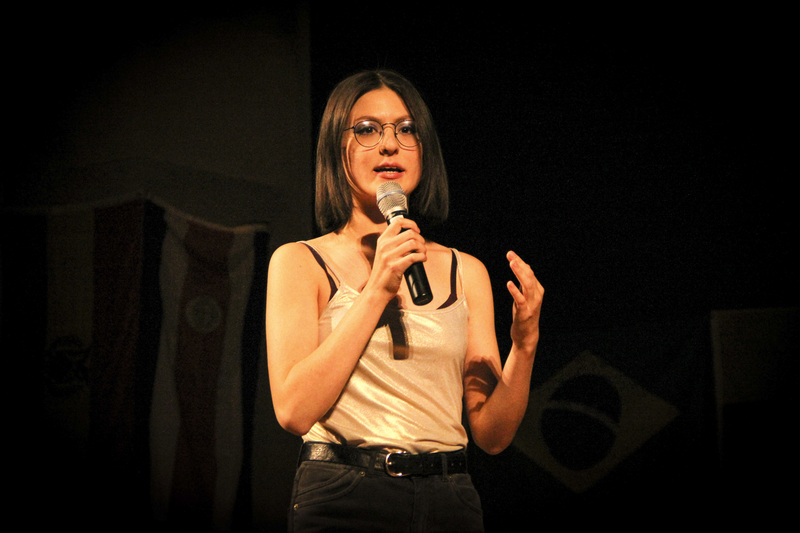 In a more playful performance that held solemn undertones, Emma Llano ’19 did a stand-up routine, in which she discussed having her identity viewed through a misguided, shortsighted conception of what it means to be Peruvian. For Llano, this experience took place among individuals she knew, when her boyfriend’s mother and grandmother asked “what type of meat they had in Peru” and what her “status” was, given Trump’s stance on Mexicans. Though the set’s punch lines and anecdotes were met with hearty laughter from the audience, Llano’s experiences are also viscerally unfunny, picking up on a disturbing undercurrent that was more explicitly articulated in other moments of the showcase. The fact that there exist people who equate every Spanish speaking country with Mexico, and, in turn, everything Mexican with U.S. immigration, reflects an erasure of individual Latinx cultures and a willingness to exoticize and lump together all Brown people. One might recall a recent news story on the Trump administration’s initiative to deport all individuals found crossing the U.S.–Mexican border regardless of nationality. Self-evidently preposterous, and funny solely for that reason, the proposed policy’s effacing rhetoric wields hostility against Latinx culture at large or the Spanish language, rather than “crime” or “unemployment,” as many conservatives like to claim. 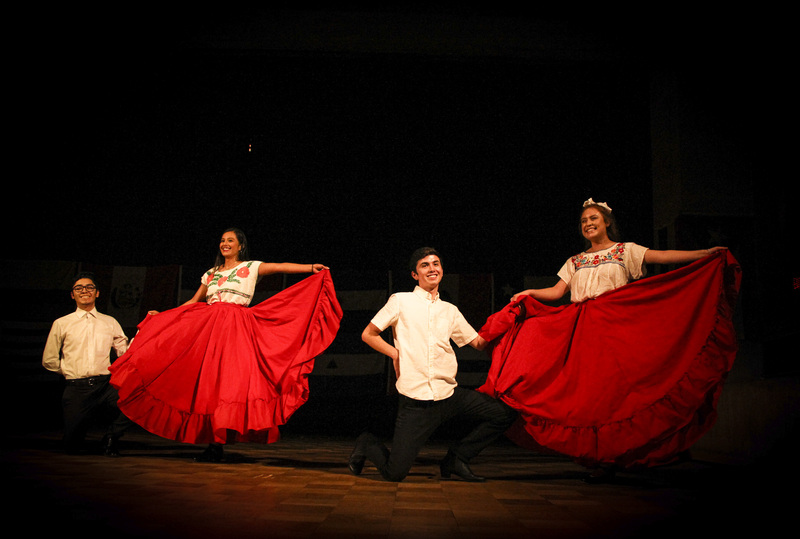 But whether earnest or facetious, not every spoken performance featured in the showcase expressed disapproval at outsiders’ conceptions of Latinx culture and identity. Franchesca Peña ’18 presented two poems about the powerful influence of women in her life. In the second poem, she recited, “I’ve got a well of woman tears in my home / tears, it helps us grow / it helps us grow / we pour a cup of our own.” This short poem outlined the resilience in the face of struggle that she’s witnessed in the women that surround her. The tone was somber yet optimistically empowering, as the women represented possessed a sense of agency in pouring their cups full before facing the future unafraid. 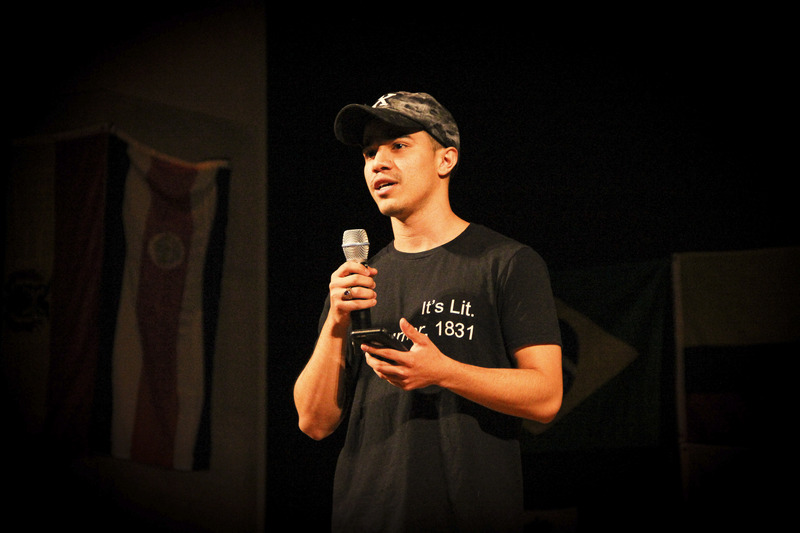 In addition to the more hard-hitting spoken word performances, Expresiones provided plenty of opportunities for lighthearted fun. The show opened with Karen Jimenez’s ’18 choreographed folk dance, in which dancers in crisp shirts and flowy skirts danced rounds encircling one another and executed chipper, three-step footwork. 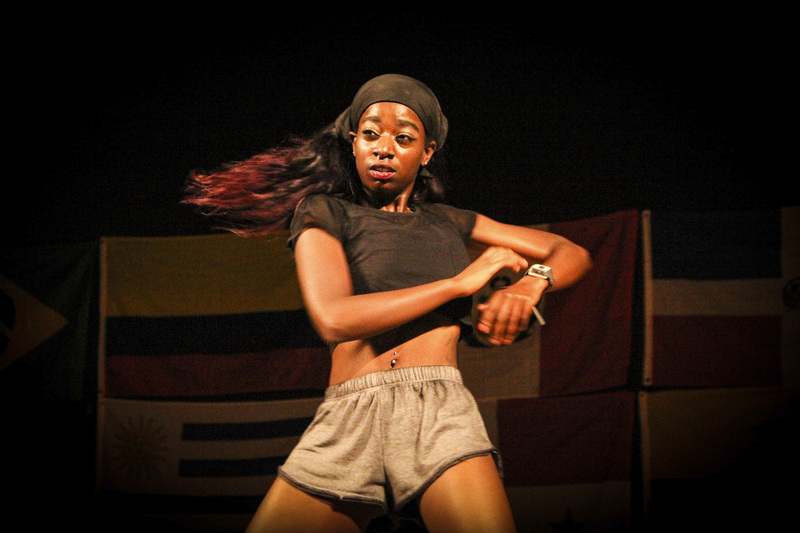 Mahogany Sugars, the University’s new dance line group, inspired by HBCU spirit groups, lit up the stage with a number that incorporated dynamic high kicks, quick leaps, and energetic ending poses. 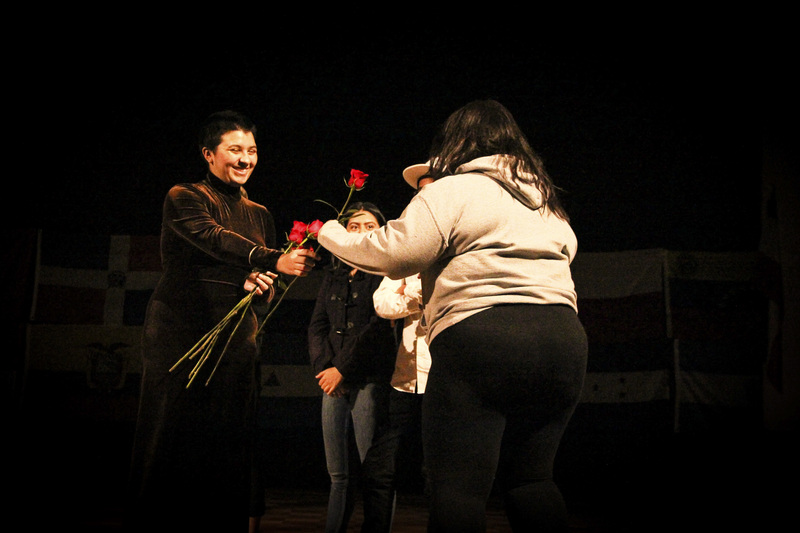 Throughout the evening, hosts Vanessa “Toast” Tostado ’19 and Natasha Guandique ’18 made it their responsibility to keep the audience entertained for the entirety of the showcase. They eased each number into the next by giving the audience interactive opportunities to answer trivia questions, join dancers on stage, and, perhaps most innovatively, engage in games that are often played at baby showers they’ve attended. 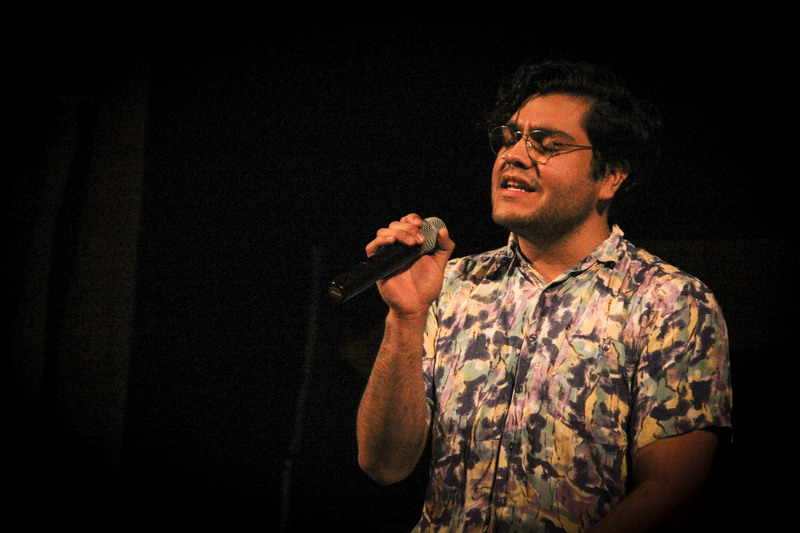 According to Marcelo Salas ’19, the annual showcase has always centered on Latinx performers but also seeks to be a space for students of color to share their hard work and creativity with the greater Wesleyan community. 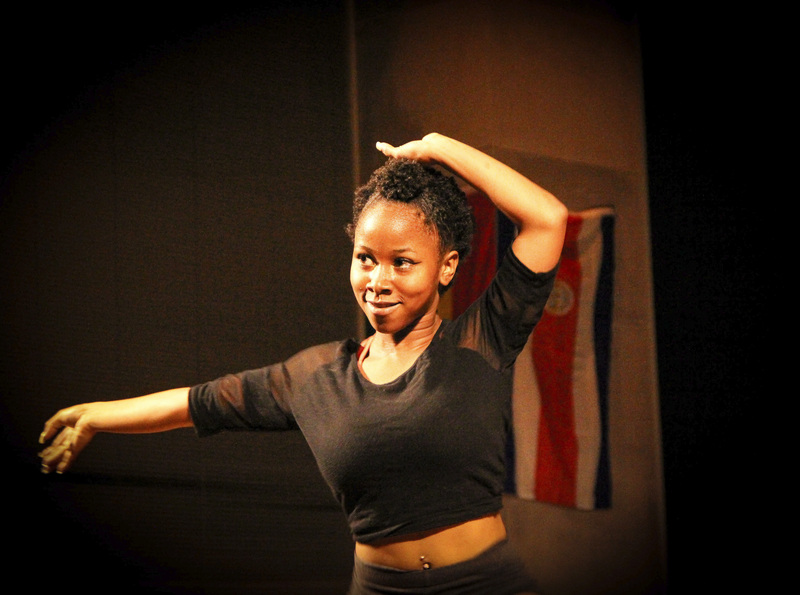 For this reason, this year’s show dedicated Latinx Affirmation Month to Afro-Latinidad. 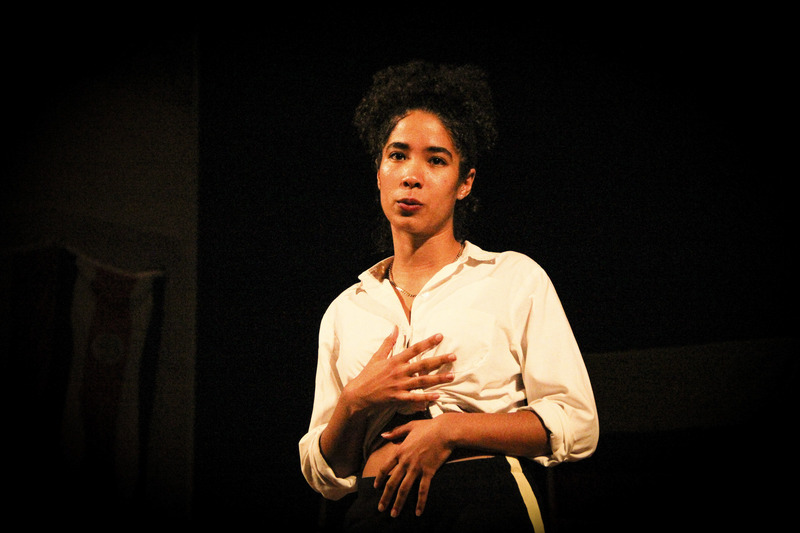 Moreover, Expresiones aims to offer an opportunity for students of color to reclaim performance spaces and opportunities that are usually operated by predominantly white students and groups. 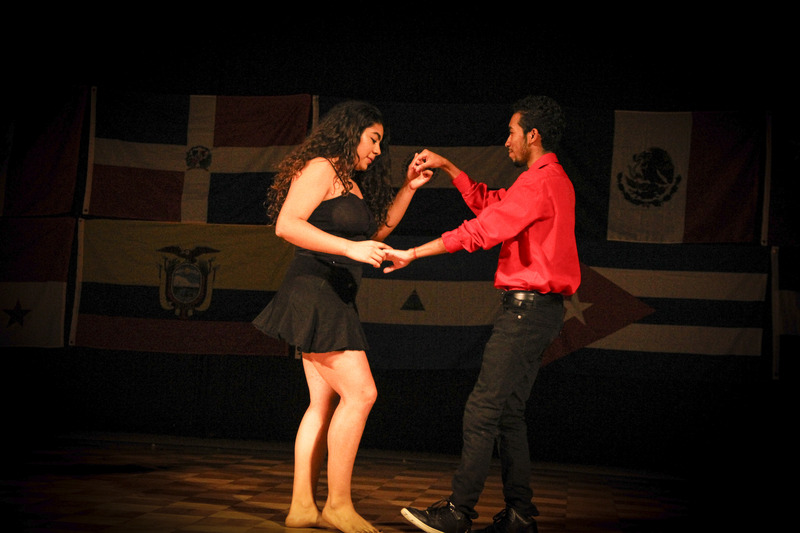 “It’s a time for students of color to show how their experience within or outside of Latinidad informs their artistic talents,” Salas said.